It’s my contention, if you’re an average audience, at least an audience interested in this subject, that everything you think you know about heroin addiction and addiction to other opiates is false. It belongs to the realm of mythology that has been assiduously peddled down the ages so that even doctors who should know better believe the myths. If the embedded video below doesn’t work, you can register for free on their website and watch it there. You can find audio of Dalrymple’s speech from his recent speaking tour of Australia in a few places around the net. There is audio here, and you should also be able to find it on the Podcast app on your smartphone. He gave the same speech in each location, so there is some redundancy, but there are also audience questions on these recordings, which are of course different in each location (if you find that interesting). Enjoy! Last May, Dalrymple gave a speech at the Heritage Foundation in Washington DC. We linked to it at that time but only as part of a mass post with links to many of his recent essays. We’ve been asked to post the speech individually and are quite happy to do so, as I fear many people probably did not see it the first time. Dalrymple’s readers know that his work has attempted to shine a light on the worldview of those at the bottom of society and to explain how much modern social pathology results from an embrace of the ideas of those at the top. In this speech he was asked to explain the latter group: what the elite believe and why. The title is thus a reference to his most well-known work, Life at the Bottom. Now, if the success of [Jewish and Sikh] immigrant groups in a tolerably open society… was not the result of a sinister conspiracy, what they had done could, in principle, be done by anyone else. What prevented them from going ahead and doing it? It was my contention that it was the “mind-forg’d manacles,” among which manacles were the very ideas peddled so assiduously during her career by this very journalist: namely, that without the assistance of government bureaucracies paid for by taxation they could do nothing to improve their lot, an attitude that was bound to foster resentful passivity—resentful because no assistance can ever be enough for a passive person. What my opponent wanted to deny was that there were any such things as mind-forg’d manacles; and the reason that she wanted to deny their existence, I suggest, is that to have done otherwise, to have admitted their existence, would have been to destroy her worldview completely, according to which only social injustice to be righted by state action (as suggested by her) would have redeemed the very many people in our society who are undoubtedly sunk in a wretched and pitiful condition. To have admitted their existence would not only have been to deny her the role of Salvationist to the masses, but suggested to her that her career had been dedicated to ensuring that the manacles were never struck off but rather strengthened and reinforced. Thank you to the Heritage Foundation for hosting the speech and for reminding us that we never gave it the proper attention it deserves. You can find the text of the speech here. We apologize for our recent long absence, as we were attending our parents’ 50th wedding anniversary celebration in our country’s spectacular Yellowstone and Grand Teton national parks. Besides offering a wonderful time, it was an occasion to catch up with our family, and is now causing me to reflect on the truth of one of Dalrymple’s most important arguments. Steve and my family life has been as easy and happy as Dalrymple’s was (according to him) difficult and resentment-producing. We have never seen or heard our parents even argue. That humans can be happy, civilized, and morally upright without questioning existing mores, or even being much inclined to reflection at all, as long as the proper prejudices (properly understood) are inculcated in them, is a truth on constant display by our parents. For which we are extremely grateful. A series of video debates by the Institute of Art and Ideas in which Dalrymple argues that “commodification of the body leads to a vulgar and violent society”. On May 16th Dalrymple spoke at the Heritage Foundation, perhaps America’s most influential conservative/free market think tank, adapting the theme of what is probably his best-known book. I hope this doesn’t come off as boastful, but in creating this website Steve and I hoped to promote Dalrymple’s life and ideas and, judging by the introduction given to him before his speech, we are very pleased that someone at the Heritage Foundation has obviously read our site! A few days later Dalrymple spoke at Hillsdale College, a liberal arts university in Michigan that National Review calls “a citadel of American conservatism”, condensing the arguments in Life at the Bottom and Romancing Opiates into a powerful explication of the dangers of the welfare state. Hillsdale’s impressive publication Imprimis has re-printed the speech. Theodore Dalrymple wonders why the US authorities do not ship their condemned criminals to Belgium where that country’s doctors, skilled at euthansia, won’t make a botch of the executions. A sleepless night leads Dalrymple to Internet searches of his former professors, fellow students and colleagues. A review of the drawing “The Electric Pencil” by James Edward Deeds, inmate of a Missouri state psychiatric hospital. Theodore Dalrymple on a generation who expect genius to descend on them without any effort on their part. Is This the End of Mammograms to Screen for Breast Cancer? When the French leftist newspaper Liberation attempts to blame Greece’s economic crisis on austerity, clearly a review of the country’s recent history is in order. A major epidemic in America, which seems to me to have received rather less publicity than its scale would warrant, is the dramatic increase in the number of deaths in the country from overdose of prescription opioids. Do Medical Experiments on Animals Really Yield Meaningful Results? Will Legal Marijuana Be a Bonanza For Trial Lawyers? For some, dressing poorly is a matter of ideology. How a routine search for drugs turned up a terrorist. Theodore Dalrymple wonders at a public sector company making loans to the poor at 44% p.a. A helpful reader reminded us that Dalrymple spoke again at The Property & Freedom Society’s annual meeting in Bodrum, Turkey, and again they have posted a video. Oh, to be in Lewes. Now that July’s (almost) there. 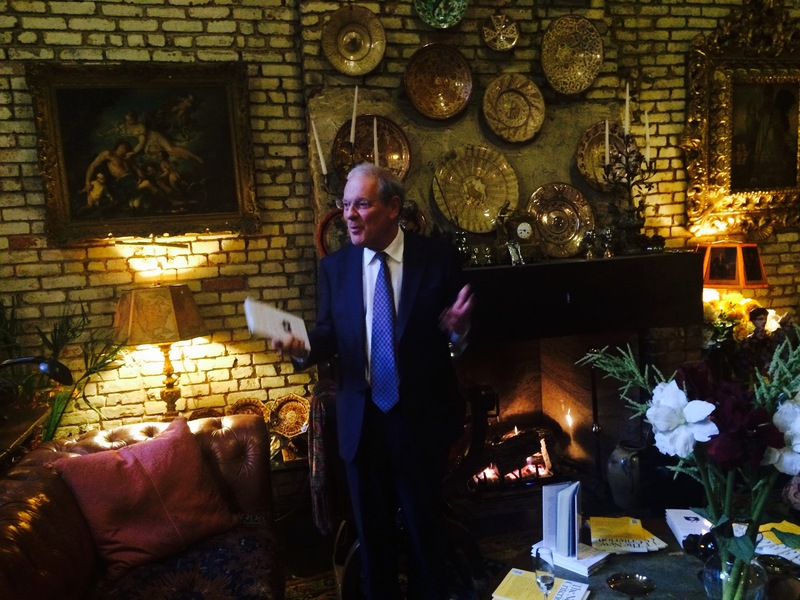 Dalrymple will participate in the Lewes Speaker Festival on July 14. That’s Bastille Day of course, and he will discuss “The future of French society after the May elections” with Jonathan Meades and Jonathan Fenby. The fireworks start a few hours later when he debates the resolution “The welfare state and liberal attitudes to morality are the principal causes of the breakdown of British society” with… oh my… Polly Toynbee of the Guardian. Welfare states have existed for substantial periods of time without the development of a modern underclass: an added ingredient is obviously necessary. This ingredient is to be found in the realm of ideas. But I for one find it heartening that the “the breakdown of British society” seems to be taken as a given. Will Ms. Toynbee cite a different cause for this breakdown or deny that it exists at all? I’m not familiar enough with her position. Were last summer’s riots enough to wake up even liberal Guardian columnists — to the problem if not to the cause? The website for the event has more details as well as a link for purchasing tickets. I don’t see anything about an internet broadcast or other kind of recording, so perhaps one of our readers can do us a favor and make one themselves. So that we might recapture the first fine careless rapture!